If you've enabled Developer Access Confirmation on your seller account, then you'll have to periodically renew your developer access permissions. Simply go to the Integrations link on the navigation menu to your left and click on the API tab. Click on "update token" and enter your new token. 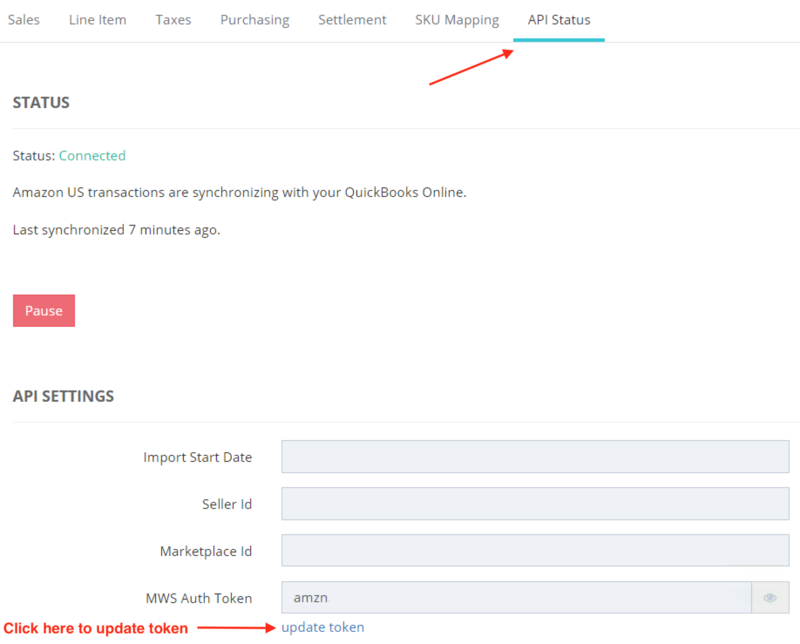 Click on "Update MWS Auth Token" to update and save your changes. You can find the MWS Auth Token under your Settings > User Permissions page on Seller Central.